Expect the continued rollout of the Affordable Care Act (ACA) and the ongoing changes in the health care landscape to dominate the minds of physicians and practices next year. That's according to The Physicians Foundation, which this week released its annual "Physician Watch List for 2014(www.physiciansfoundation.org)." The Foundation said it worried that the continued consolidation and regulatory requirements being applied to practices won't likely benefit health care in the long run. "While the promise of a better future for health care remains, the current path is leading us towards a more monopolistic, bureaucratic, and costly health care system," Lou Goodman, PhD, president of The Physicians Foundation and chief executive officer of the Texas Medical Association, said in a news release accompanying the 2014 list. The list, based on the Foundation's research and surveys, details five issues it expects to most affect patients and physicians in the coming 12 months. 1. Move to monopolies. The march of hospitals and large health groups gobbling up smaller practices continued in 2013 as it has for several years. The Foundation warned that as these growing entities begin to dominate their markets, they will hurt competition by driving patients away from independent physicians and toward more expensive hospital-based care. Consolidation is also affecting the insurer market, and physicians will find it harder to negotiate terms from a smaller pool of payers. 2. More bureaucracy. 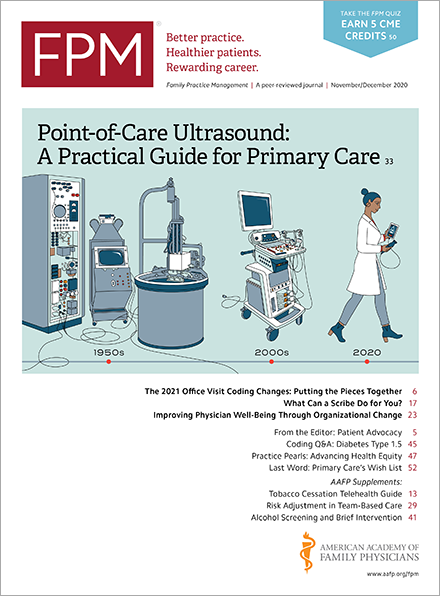 Physicians are already spending a significant amount of their time dealing with non-clinical paperwork – 22 percent, according to the Foundation's 2012 Biennial Physician Survey(www.physiciansfoundation.org) – and that will only get worse as practices must begin implementing the more documentation-intensive ICD-10 coding changes next October. They'll also need to stay on top of the next round of HIPAA changes, which focus on securing electronic transactions. 3. Navigating confusing new waters. As the ACA becomes reality next month, its implementation is confusing both to health care consumers and physicians. For instance, practices are unclear whether they'll see an ungovernable surge of new patients gaining coverage through the federal and state health insurance exchanges, despite enrollment glitches, or if they'll actually lose patients because of coverage changes. Also, they wonder if the exchanges will lead to lower reimbursement rates and how to deal with patients who may have never paid co-payments or deductibles – contributing to collection problems. A Kaiser Family Foundation study(kff.org) has said uninsured patients often have higher medical expenditures but fewer resources to pay for those services. 4. Information technology shortfalls. Much of health care reform is based on a greater use of technology. While many practices have adopted electronic health records, the various systems are hamstrung by not being able to communicate with each other, preventing them from providing additional efficiency and better care. Physicians are also on the lookout for as-yet unreleased regulations governing patient record security and privacy. 5. Lack of health care solutions. Physicians believe Washington, D.C., is not properly dealing with many of the key issues facing health care, such as finding a permanent solution to the Medicare Sustainable Growth Rate(www.cms.gov), implementing tort reform, and addressing "defensive medicine." Also, this fall's government shutdown had the potential to disrupt Medicare and Medicaid payments, and future shutdowns could foster additional mistrust and make potential students rethink medical school. While these issues are thorny and complex, the Foundation said physicians can still play an important part in finding solutions because of their daily experience providing patient care. It said physicians' involvement in these discussions is "critical" and that policymakers should focus on increasing it.